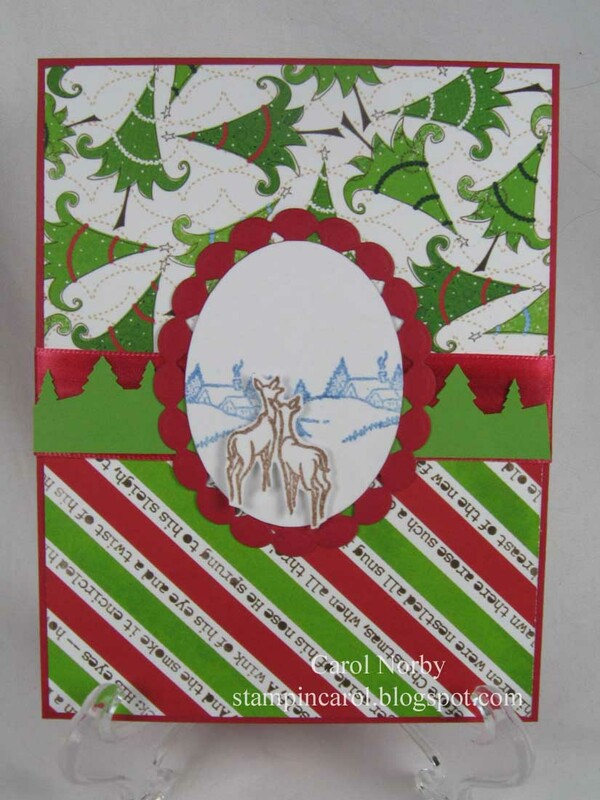 I am starting to work on a November class I plan to teach at the AZ Scrapbooking store in Green Valley, AZ. Debi, the owner, chose the paper. It's by BoBunny in the Mistletoe collection. The stamps are from the set Winter Trees by Stampendous. 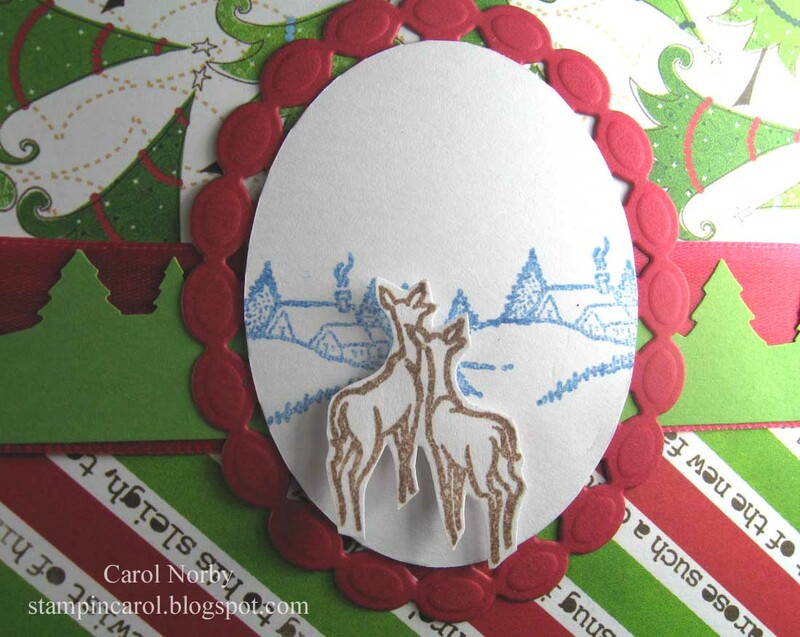 I used the Beaded Ovals die by Spellbinders and my Wizard and a cool pine tree border punch (E K Success???). I colored a white satin ribbon with a Copic marker but I think a strip of the red card stock would work better. I cut 2 of the same size Beaded Oval but cut the beads off the white one and sanded the edge to make it more uniform. I stamped the background with Starry Night Palette Hybrid ink and the deer with Burnt Umber PH ink. I pop dotted the deer. 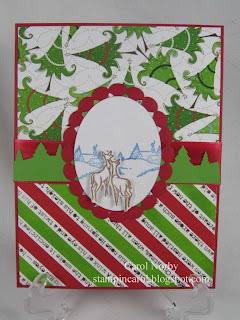 I think a more vintage paper would be in order but I like how this card turned out.What do you think?